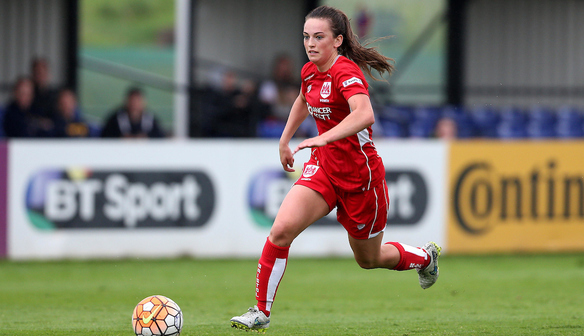 Chloe Arthur signs new deal with Bristol City Women. City Women are pleased to announce 21-year-old Midfielder Chloe Arthur will remain at the club ahead of the Spring Series. Chloe joined the Vixens last January after spending a successful season with Scottish Cup and League runner up team, Hibernian Ladies. Prior to this Chloe was part of the Celtic Youth Academy and broke into the Celtic first team aged 17. Chloe has represented Scotland at U17s and U19s level and is now a regular in Scotland Women’s A squad. “Without a doubt, Chloe had a fantastic debut season at Bristol,” said head coach Willie Kirk. “From her goal in the first game of the season against QPR in the FA Cup, through to her tireless performance against Oxford on the last day of the season, she showed a remarkable level of consistency. “She quickly found her feet and helped raise the performance in training day after day. She is a fantastic athlete and still has so many parts of her game to add improvement to, which is exciting for the future. “She will handle WSL1 no problem at all, and will be an important player for us as we find our feet in the Spring Series." 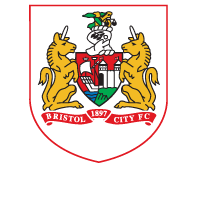 Now in WSL1, Bristol City Women will open their campaign against Reading at Ashton Gate on Saturday, April 22nd (KO 6pm) before taking on Arsenal, Chelsea and current league Champions Man City at the Stoke Gifford Stadium. The Vixens will also come up against former teammates when they face Liverpool at home, with Sophie Ingle, Tash Harding and Caroline Weir now playing for the opposition. Tickets will be available for all games online viaTickets.Bristol-Sport.co.ukshortly with season cards also on sale in the next few weeks. Follow@BristolCityWFCon twitter to keep up-to-date on all the Bristol City Women action and news.